ClearBags is attending the upcoming MFSA show. Since it is a Mailing and Fulfillment show I figured it would be helpful to let you all know that ClearBags packaging is approved for the USPS shipping. To help you know the shipping standards better and how to ship your mailers, there is a reference form. 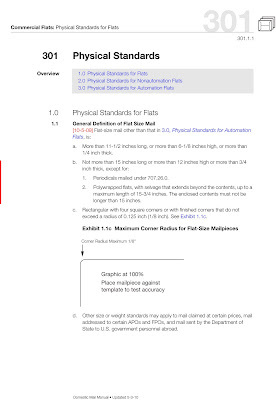 The PDF from the USPS goes over the flexibility, sticker requirements, as well as length, height and weight. With all of the intricate details that the USPS regulates its nice to have a cheat sheet and that’s just what this is, a sheet to help you know standard shipping requirements. DIY: Glassine Envelope Confetti Packs!